What, were they sold out of 686's? 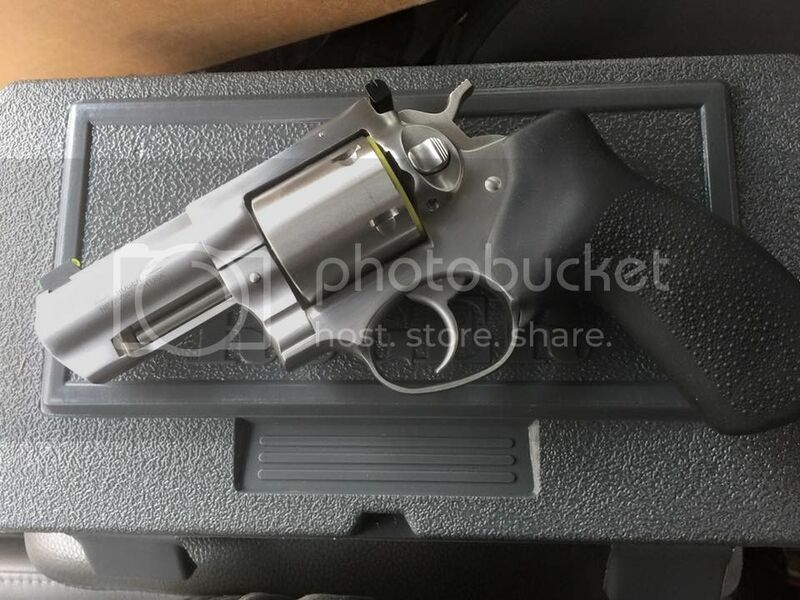 Honestly I don't like the "look" of the newer S&W revolvers. I have no doubt that the tolerances of the new models are amazing thanks to CNC and the steel is of the highest quality, but I just prefer the older models. I actually like the look of the Ruger GP100. Especially the 4" model. I can see how that would be a deal breaker. There are always more guns, right? I feel you. I've already decided that my next gun purchase maybe another S&W trade in from Gander Mtn. They have a 5946 that is sort of screaming for me to take it home so it can live with my Model 10, Model 66, and Model 910. You can practice shooting and get a good forearm workout at the same time! Bah, been a bit here, but nail on the head. Although the 'look' is part of the reason I prefer the older Rugers to the GP100 (just a tad). In any case, I really don't like the full-lug look. My old man even less. Nevermind the rather tricked out style some pieces they got goin' these days. I loved when they put the 520/620 out, got the classic Smith aesthetic while still having the 7 shot. Of course they're both gone now but bringing back the 66 is nice too. In the end though it's like you said, different strokes and so on.